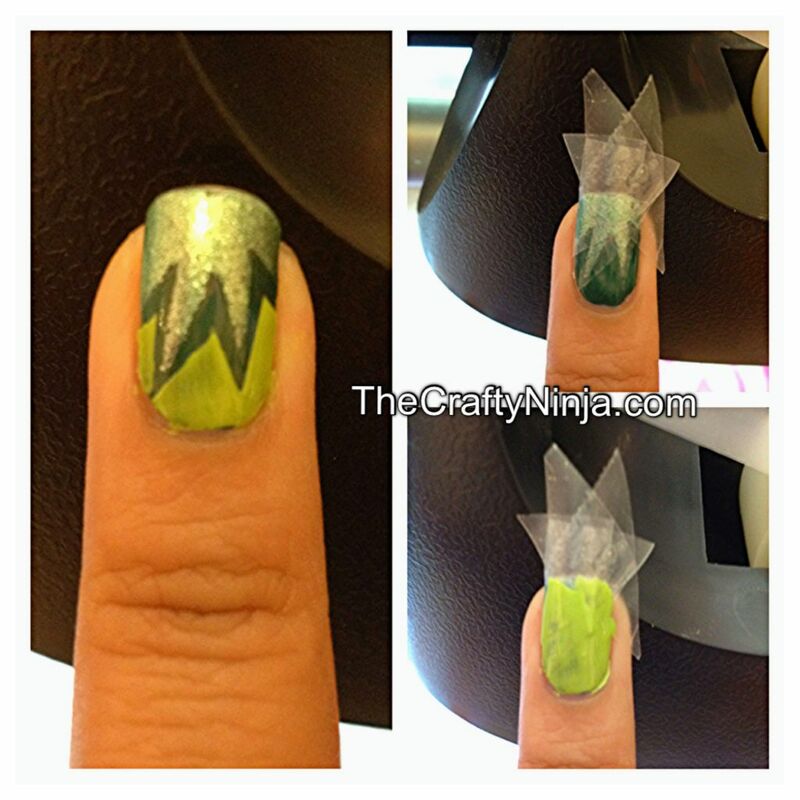 To create this explosion nail art tutorial is fairly simple, all you need is some scotch tape and two colors of nail polish. I used a more matte and shimmer polish to create contrast, but you can use any color combinations. I found this tutorial on nailslide here. To create with look I first used Finger Paints Base Coat and Essie Going Incognito. Cut the tape in half to create a triangle. You will need three triangle pieces of tape. Tape the first triangle in the center. Tape the other two pieces of tape on each side, slightly overlapping. 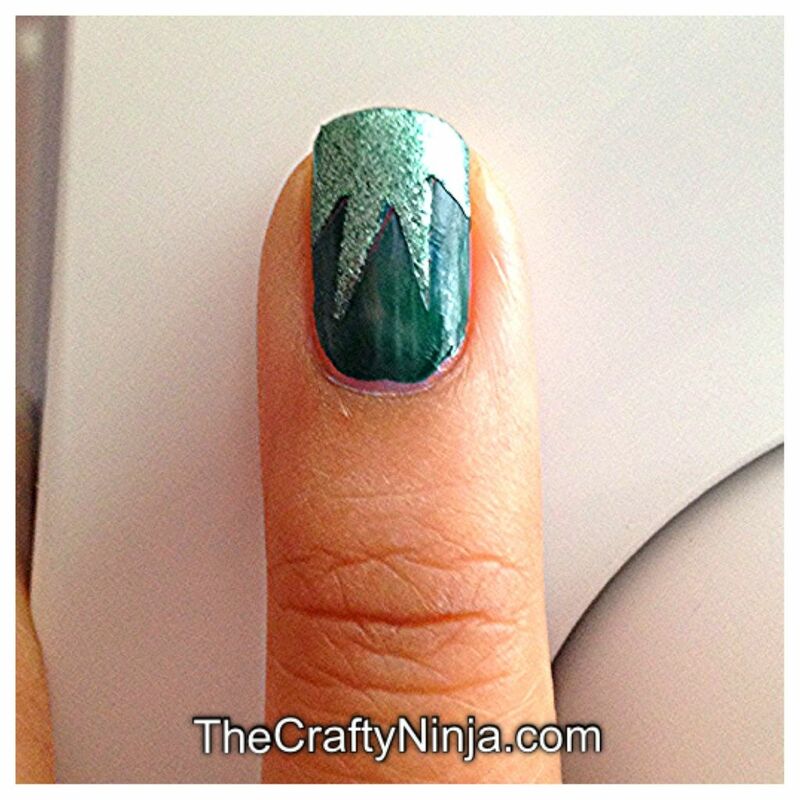 Next using nail polish, Color Club Simmer Green, paint over your nails. Carefully pull off the nail, I held all three pieces of tape and pulled upwards slowly. Sealed with Finger Paints Top Coat. Double Explosion Nails. 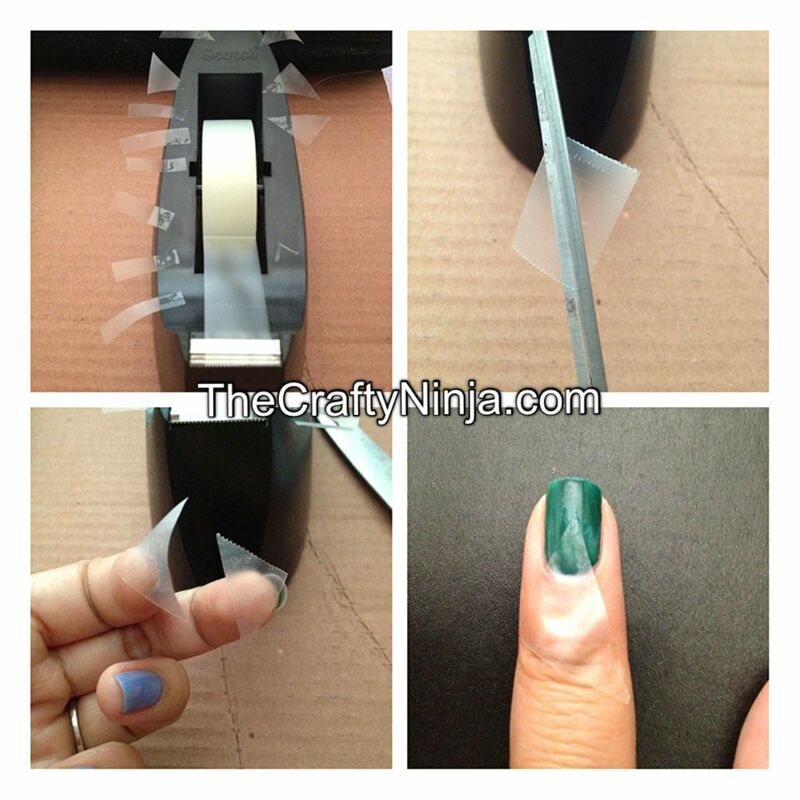 You will need four pieces of triangle tape. On each tip point place a tape leaving a slight gap. 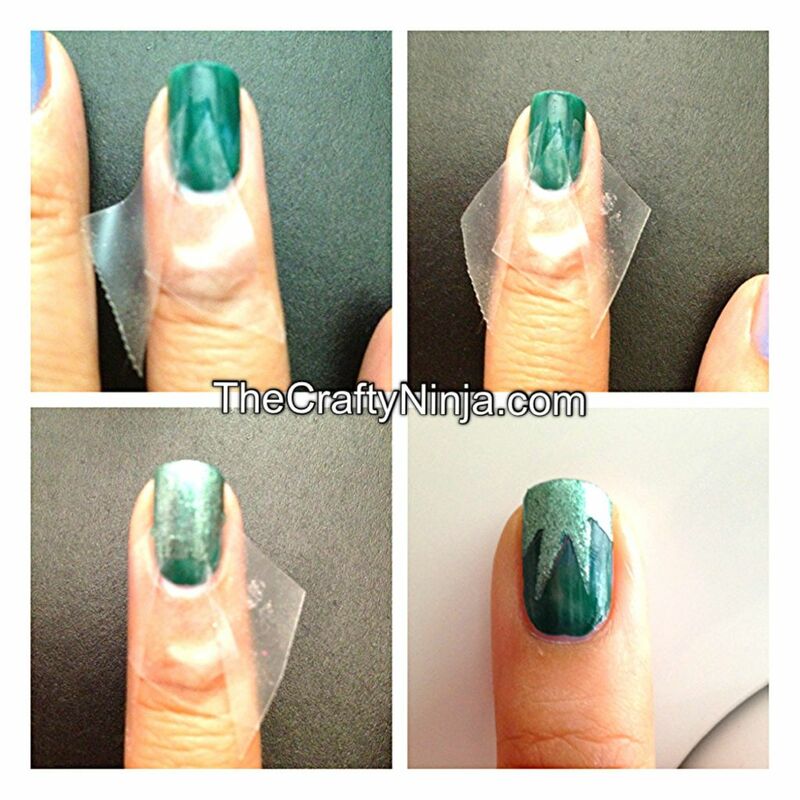 Using a different color nail polish, Sinful Colors Innocent, paint the tip of your nails and carefully pull off the tape, I held all four pieces of tape and pulled downwards. Sealed with Finger Paints Top Coat.